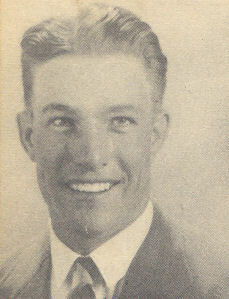 AOMT 2/c John M. Perry, son of Mr. and Mrs. Bill Perry, attended Frederick High School and Frederick Jr. College; husband of the former Cleo Jean Henry. Entered Navy in Sept., 1942, trained in Univ. of Ga; served in New Hebrides; was discharged. Awarded Victory Ribbon, Good Conduct Medal, Asiatic Pacific and Am. Theatre Ribbons.